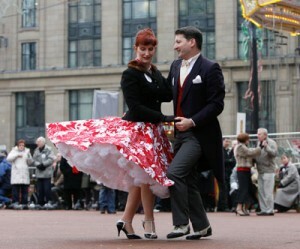 Susan and Gary McDonald will be running an original and unique tea dance at the festival. With years of experience in the dance industry, they are looking forward to showing us all what they can do in their own energetic and ‘vintage’ style. 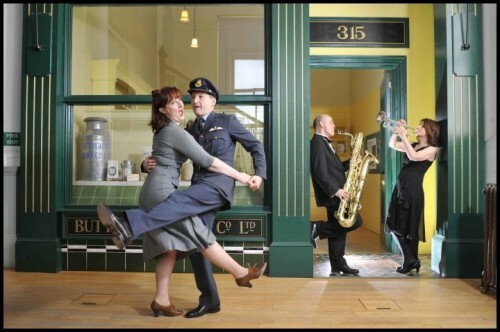 Their company, the Fly Right Dance Company specialises in traditional Afro-American dance or swing dance styles, such as Ragtime, Charleston, Lindy Hop, Jitterbug and Jive and also 19th century dances of the ballroom. They have performed at many well-established jazz festivals, such as the Edinburgh, Glasgow, Wigan and Sacramento international events. Their fun and flexible approach is very sought-after to present dance classes as part of their performances. And that is exactly what they will be doing at the festival. As well as ‘wow-ing’ us with the incredible talent, they are going to run a micro-class to teach anyone who wants to join in, a dance, which will take about 15 minutes to learn and perform. Susan and Gary have hosted three World Record Tea Dances in Scotland, UK and we are very much looking forward to watching them and learning something new…….so if you fancy a turn around the dance floor or fancy learning a new dance, we hope you will join in the fun. Sheila Portman will also be joining us at the festival. She will demonstrate a short fitness warm-up on the dance-floor with some friends. They will then retire to the grass area, where the fitness class will continue to the music of the band playing on stage. Anyone will be welcome to join in. 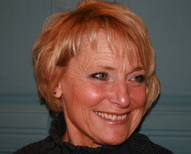 Sheila specialises in Skype Fitness training for women and has clients all over the world. The idea of Skype Fitness training is that it allows you to achieve your fitness goals in a friendly environment – your own home! This immediately removes a huge barrier, if you lack confidence in a gym environment, or if you don’t live near a gym. With Skype you can schedule your workouts to fit in with you and your family’s routine and work commitments. Sheila believes that all women, whatever their age, size or ability has the right to feel great. To some of us, feeling great might mean being toned, having good posture or flexibility, managing daily stress, feeling energised or just having good mobility. No matter what it means to you, Sheila wants to help you discover and stay feeling great.